I took a trip to the desert. My parents first brought me here when I was just a small child. I have spent many miles of the many years since trekking the length and depth of this land. And still it awes and confuses me. 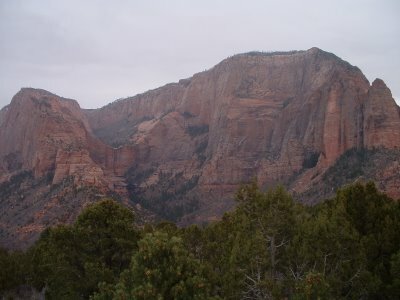 Most people know that "Zion" indicates a promised land, but don't know that the word "Kolob" indicates the place closest to heaven. I believe everyone chooses their own heaven. 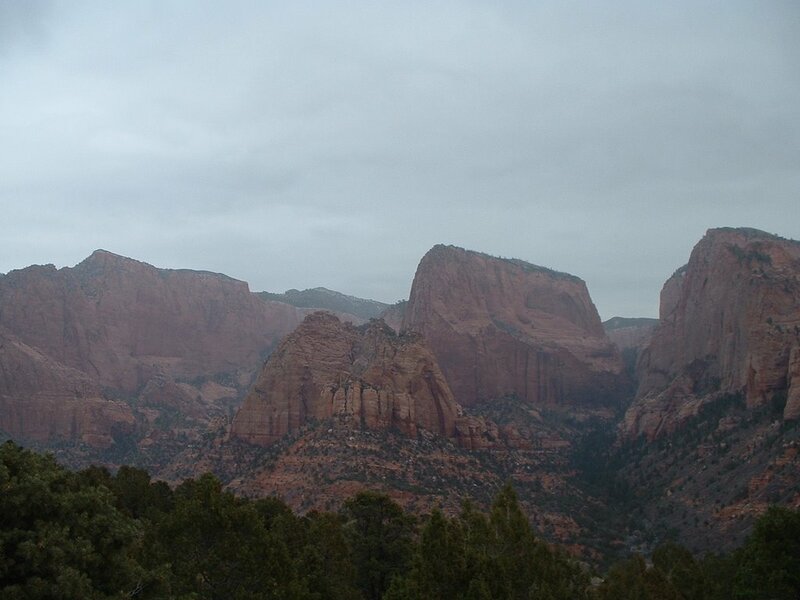 I took an Adventure Cycling trip in September and visited Bryce, Zion, Capital Reef and other parks. Truly awe inspiring country. 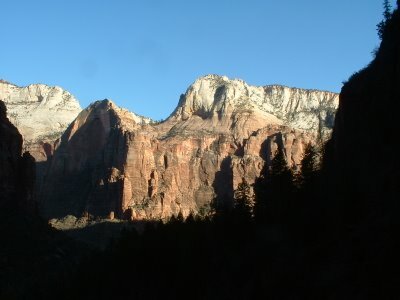 I used to visit Zion regularly as a child. 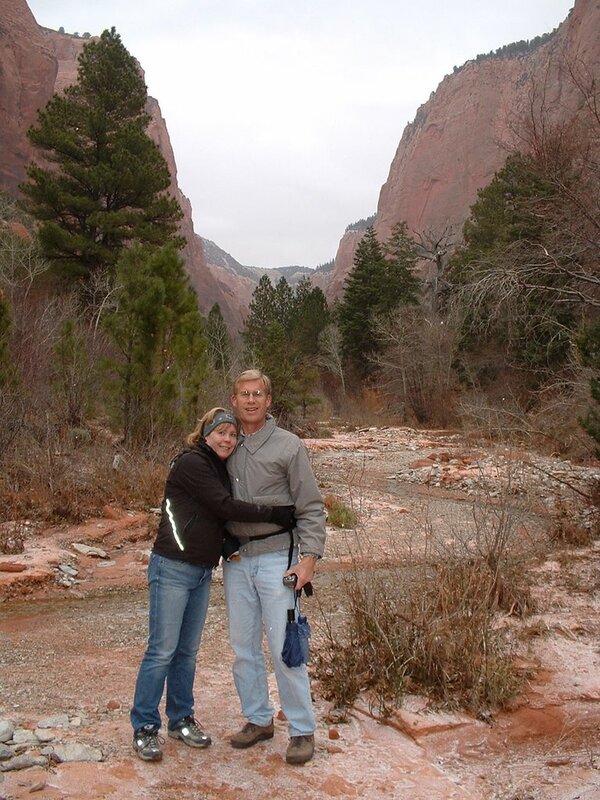 Last year we had time to stop at Bryce Canyon on our way to Arizona. This year Grand Teton. Next year is probably Zion's turn. We used to do the Virgin River hike, it's a favourite memory of mine. That's so cool. 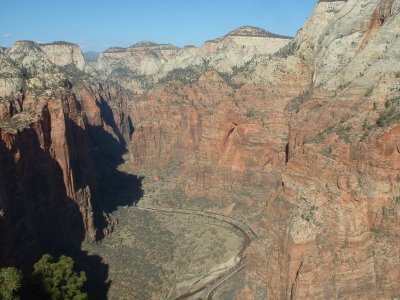 I was in Zion three weeks ago and did the Angel's Landing hike. Probably the coolest short hike in the world! 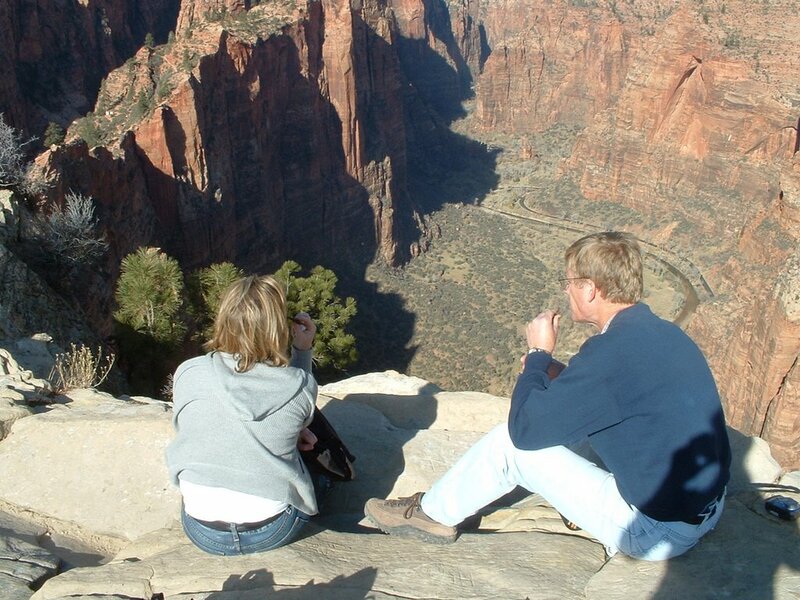 Do you have to sit so close to the edge like that?!? You're freaking me out! 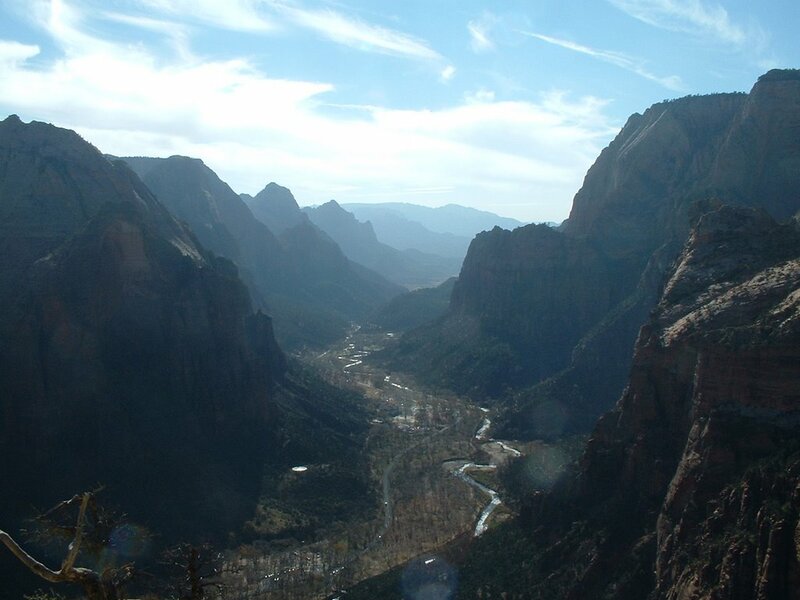 I've only done a little hiking in Zion but would really like to spend a lot more time there. Beautiful! My daughter wants to go to the Grand Canyon for vacation and I probably will get to tag along, maybe, I hope. 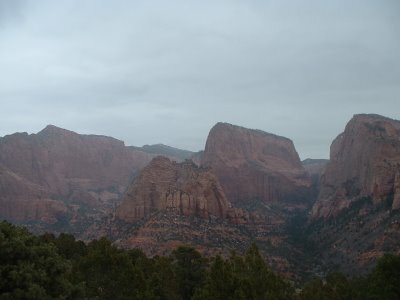 This is such a pretty area and I see it is only 85 miles from the Grand Canyon. Zion National Park.